Fenders & Hose Flotation | Repair Management Nederland B.V.
Polyform, Fenders, All purpose buoys, FlowSafe Hose flotation. Polyform heavy duty seamless inflatable fenders are very flexible and strong. Supreme control over the fusion process and quarantees even wall-thickness. Resistant to all weather conditions. High energy absorbtion. Suitable for ships up to 1500 ton D/W. Especially designed to pretect the F series Polyform fenders. Made of high grade polyester. Produced from the best marine grade vinyl material which is extremely strong. Designed for commercial use in marine, fishing and dredging. Standard supplied in (orange)red with a blue eye. See download for the different dimensions and floating capacity. 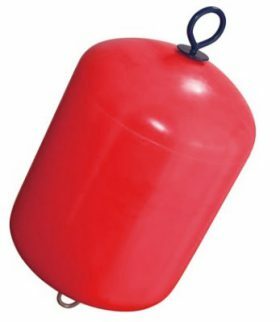 The MB-series buoys are mainly used for mooring, marking of fishing gear and cables, pipelines, and different other surface installations. 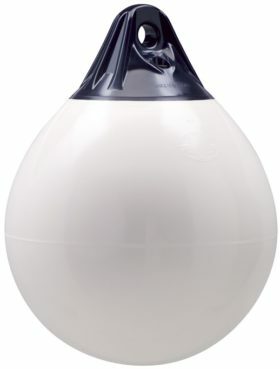 The MB-series buoys are roto-molded from polyethylene (PE) and filled with polystyrene foam (EPS), guaranteeing a compressive strength of 5 mH2O and a density of 250kg /m3. The buoys come complete with hot dip galvanized armature and swivel.. Special Buoys luminiares Winko and Consta with mounting plate available. 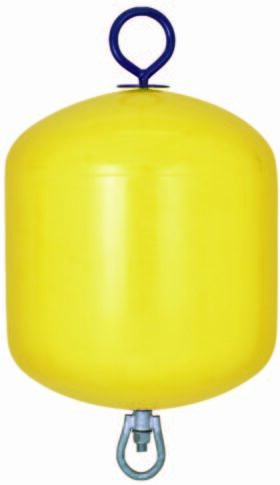 Standard colors are Yellow and Red. Standard guideline for load capacity of mooring buoys. 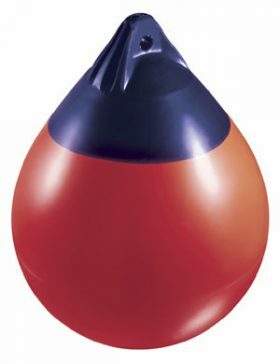 Using the Polyform fenders as a floatation device never expose the buoy to a load of more than 60% of its total buoyancy (volume). 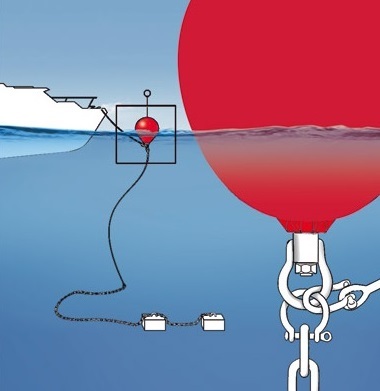 The same guideline must be followed as a construction for permanent mooring buoys. 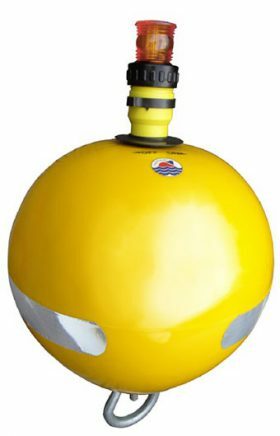 Only the lower swivel (under water) of the mooring buoy shall be used for mooring. All moorings shall be checked for wear and tear at least twice a year. FlowSafe protection for fluid transmission hoses like bunker hoses. 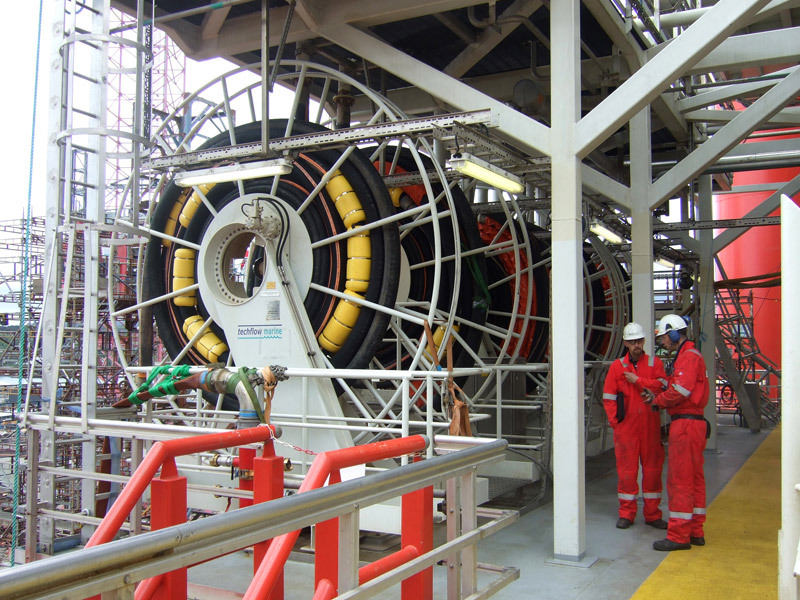 FlowSafe hose flotation devices are used in various fields of marine activities, such as offshore oil and gas industries and port facilities. Transfer of fluid at sea is often associated with serious problems, especially in severe weather. 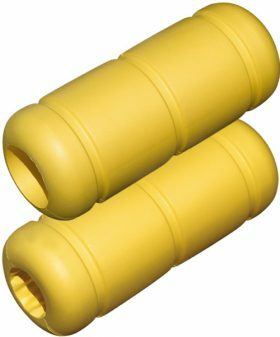 FlowSafe hose floatation devices are shock absorbent, strong and elastic and due to 100% watertight cells and a very low density gives it a high bouyance. Creating a simple and safe solution. See the download for the different dimensions. Norfloat Internation ETS for vessels over 20.000 DWT. Complete with a Jotron ML-100 high intensity LED.